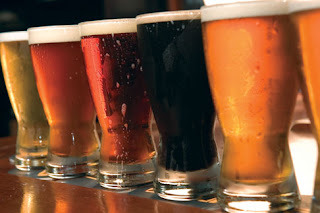 This evening at 7PM, Union Hall (702 Union Street) hosts one of its regular home brewing contests. Swing by and watch the competitors battle it out, as you have the chance to sample the brews for yourself and see if you agree with the judges. Four winners will be selected to move on to the finals later this year. There will also be cheese provided by Stinky Bklyn, homemade beef jerky, and some extra special beers available for your drinking pleasure at the event. Bottoms up!